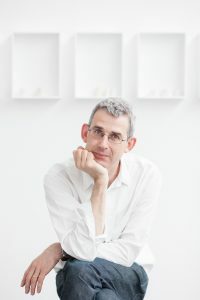 During the talk Edmund de Waal discussed the telling of family stories through words and sculpture, touching on his writing of The Hare with Amber Eyes and works by Paul Celan and Walter Benjamin. Organised by the Leo Baeck Institute London in collaboration with Queen Mary University of London, School of History. The lecture took place at Queen Mary University of London, Arts Two Lecture Theatre, Mile End Road, E1 4NS, on the 23rd of March 2017 at 6.30pm.